Drought continues to devastate the east-coast of Australia, so we held a talk with QUT to explore the role that digital farming will play. 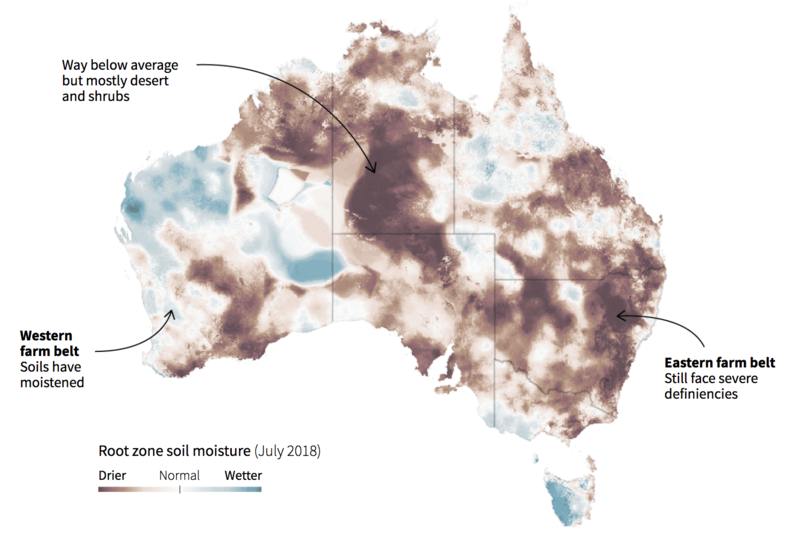 As the drought takes a stronger and stronger grip on Australia's east, there has been massive disruptions to the nation's food and agricultural sectors that may take years to adequately manage. Stocking rates are plummeting due to very low feed availability, and the consequent need for grains has flipped supply chains and distribution systems on their head. Sub-surface soil moisture levels are also hitting record lows, meaning that ongoing spells of deep, penetrative rainfall is going to be required to return soils to appropriate levels. With the majority of the nation's farming sectors in a state of disarray, Food Agility and QUT teamed up to present a special agtech talk that explored the ways in which data and digital technologies will play more and more of a role in addressing drought as we move deeper into the 21st century. Led by Chief Scientist Dave Lamb and CEO Mike Briers, this talk draws on a range of Food Agility insights and challenges the audience to view the world of digital agriculture in entirely new ways.